New generation, low-powered co-polyster/monofilament string. Ideal for players who like to make their own power and ask for added durability. 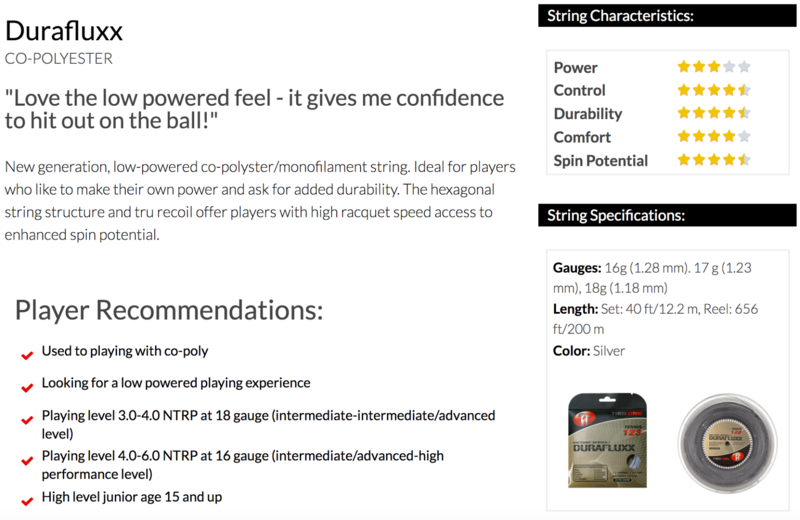 The hexagonal string structure and tru recoil offer players with high racquet speed access to enhanced spin potential.